This was my most anticipated film of the year, hands down. Ever since I first heard about this movie during its screening at Cannes, I have been anxiously awaiting the local release. I’m extremely happy to report that, even despite my incredibly high expectations for this movie, it did not disappoint. The story begins in 1927, near the height of technical and artistic achievement in silent motion pictures, chronicling the success of matinee idol George Valentin (Jean Dujardin). His movies are known and loved the world over and his off stage charisma and antics are always front page news. After the screening of one of his latest films, a young aspiring starlet in the audience accidentally bumps into him as he is getting photos taken outside the theatre. At first embarrassed and scared of how Valentin will react, she immediately lightens up when he begins to laugh and let’s the photogs take several snapshots of them both. The next morning, those photos are front page news, and the young woman, Peppy Miller (Berenice Bejo), makes her way to the studio to try and get some work. At Valentin’s insistence, she is hired on as an extra. After the day’s shoot, she visits him in his dressing room and they nearly share a romantic moment before being interrupted by Valentin’s chauffeur Clifton (James Cromwell). With the advent of sound, Valentin’s studio, Kinograph (a take on famous monikers like Biograph), move in new directions. 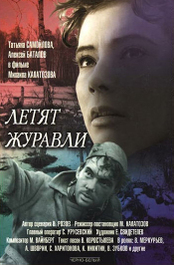 Valentin, like many silent stars of the day, refuse to accept the new medium and, after being dropped from Kinograph, begins to write, direct and shoot his next film, Tears of Love, himself, funding out of pocket. With the stock market crash following on the heels of the disappointing reviews and returns of Tears of Love, Valentin is broke, dried up and desperate. In contrast, however, young Peppy Miller has made a meteoric rise to fame in the new talkie medium. In conjunction with the story itself, the film takes many liberties to authenticate it to the time in cinema history in which it is presenting. The film is shot in black-and-white (well, color converted to black and white in DI for all you DPs that need to know exactly), it is 95% silent, shot in Academy ratio (1.33:1, essentially squared as was standard before the 1950s) and recorded at 18 frames per second to elicit the common motion difference we sense between many silents as compared to modern films. Though, again, for you purists, this motion deception was not because of the films themselves, as much as with projection measures today being at 24fps, whereas common frame rate in the early part of cinema was dictated at 16fps; however, since films were hand cranked by the cameramen, the fps actually fluctuated a bit between 12 and 20 most of the time depending on the action on screen. Anyway, in short, this movie did all it could do to authenticate the look and feel of classic Hollywood cinema. It turned out to be an endearing and perfect choice for the story, and not at all a gimmicky or satirical take on the perception of silent cinema. The acting, since the film was silent, was more about body language than anything else. Everything had to be visual and the actors were made to express much more through actions and facial expressions than anything else. Again, it was a natural ode to silent cinema and the long lost art of pantomime. The way Dujardin and Bejo interacted and expressed emotions physically was breathtaking and captured the magic of some of silent cinema’s greatest actors and actresses precisely. Largely, Valentin’s character was modeled after such stars of the 1920s like Douglas Fairbanks and John Gilbert, where, in turn, Miller’s part was very much Garbo-esque (even the line “I want to be alone” famously appears in the film!). Their performances, one without any lines and the other with one single solitary line, were breathtaking. So far in my journey through this year’s Oscar nominees, these two are my picks for Best Actor and Best Supporting Actress. A special note needs to be given to Uggie the dog as well, who expertly played his supporting role of Jack the Dog – if only a non-human could get a Best Supporting Actor nod! In the technical arena, in addition to the shooting standards mentioned earlier, this film was just seamlessly well-made. Guillaume Shiffman’s classic hard light approach to the cinematography was fantastic, absolutely beautiful. Nearly every frame of this film I could easily see myself hanging a still on the wall of my house and being pleased; then again, however, I love classic Hollywood era lighting. I think it is classy and sharp, and even more than that, I’ve always had a soft spot for black and white cinematography. To me, black and white helps suspend my disbelief more than color; it creates somewhat of an alternate reality that I can accept more as a totally different world than color, which so closely resembles our own. I know every film doesn’t call for the use of black and white, but this one certainly benefited and I’m always happy to see well shot black and white footage on the screen. As for the direction, Michel Hazanavicius did a phenomenal job. There were many beautifully framed and interesting shot selections throughout and several scenes that helped convey Valentin’s emotions through a creative addition of some sound work. In conclusion, I loved this film, everything about it. I loved that it was silent, that it was black and white, the costume design, the acting, the story, the direction, the great cinematography, the precise art direction in creating 1920s Hollywood, the fact that it was an ode to silent cinema which I adore, and how heartfelt so many of the scenes were. This was a brilliant movie. I loved Hugo nearly as much, but I have to go on the record to say that this film will be my pick for Best Picture for this year, at least so far. I’ve currently seen six out of the nine nominees this year for Best Picture and don’t see any of three I have yet to see usurping this pick. Actually, I have two left to see – War Horse and The Descendants, because I refuse to see Extremely Loud and Incredibly Close because I hate when crap like that gets on the nominee list. It’s been destroyed by critics, I didn’t like the director’s past films and it just comes across as Oscar fodder we-love-Scott Rudin crap, and for that I boycott it. I came across the name of this documentary in looking over an Empire Magazine article on Oscar snubs. Since the film was released in many parts of the world in 2010, but still many others in 2011, the line as to whether or not it could qualify this year has apparently been a point of contention. Though I don’t know a lot about Formula One racing, though I am a huge fan of automobiles in general, the reviews I read led me to giving this one a shot on Netflix Instant Watch. Ayrton Senna was a Brazilian kart racer that migrated to Europe for kart racing, and eventually, found his way into Formula One racing at the age of 24. Throughout the 1980s, he became one of the sport’s best competitors and a three-time Formula One World Champion. His feuding on and off the track with French driver and three-time World Champion Alain Prost helped bring further popularity to the sport, and his personal calm demeanor and humility made him a fan to many outside the sport as well. In his native Brazil, he became somewhat of a personal treasure during Brazil’s crushing economic and political turmoil of the late 1980s and early 1990s. His death in 1994 at the age of 34 from a crash brought increased attention to the dangers of Formula One racing and instilled new guidelines to help keep drivers safe. The entire film is put together from archive footage. Though there is voiceover narration throughout from different drivers, commentators, medical staff and others, they never actually appear on screen visually. It’s amazing the amount of footage that had to have been compiled for this film and the editing of it all together is amazingly precise. As a viewer, one literally forgets that they are watching an amalgam of old television, stock and personal film and video footage; to the viewer, it’s as if you are watching a narrative film on Senna’s life with him in the leading role. I’ve never before seen this kind of take on a documentary, but it worked wonderfully and, obviously, is only something that is feasible if a lot of source footage is available. Maddie, my girlfriend, can’t stand racing or cars nine times out of ten, though I do make her watch Top Gear several times a week and call her beloved car a “pry-us” like they do on the show when bashing the vehicle. However, even as someone not really interested in the sport of Formula One racing, she really enjoyed the film. So, that leads me to believe that whether you love racing or could care less, there is something this film has for everyone. 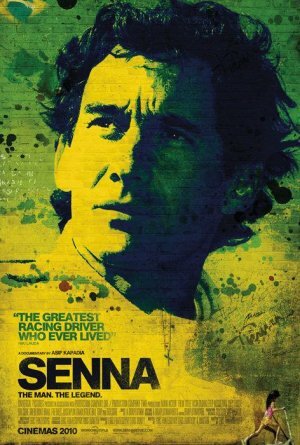 Senna was a smart and very able athlete in his field, but above all a humble and gracious person it would seem, and to see his professional career unfold with the story telling techniques used in this documentary is absolutely magical. With the announcement of the Oscars and things starting to settle down a bit after the move, it is now time for me to begin my annual ritual of watching as many of the nominated films as possible. Since this film has already been released on DVD, it was an easy choice to get ahold of as I start my journey through what is left of the year’s best films that I haven’t yet seen. I love it, for my blogging purposes at least, when movies are easy to summarize; this one might be the easiest film summary of any I’ve written yet. 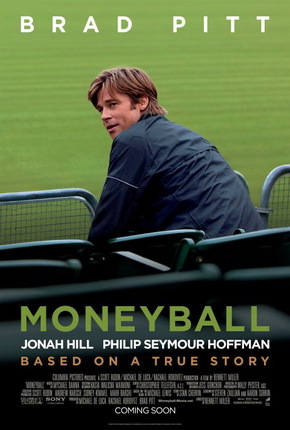 The movie is based on the true story of Oakland Athletics General Manager and former pro player Billy Beane (Bradd Pitt), who rather than replace three key players that were traded from his roster to richer teams the standard way, employs a statistician, Peter Brand (Jonah Hill), in hopes of creating a winning team by the numbers on a budget. Couldn’t be much easier than that, right? Though the film is easy to summarize, that doesn’t mean that it isn’t a good film. Just as I was not a fan of the vampire genre, but really enjoyed Let the Right One In, I’m not a huge fan of sports movies, but really liked this one. Pitt gives a commanding and heartfelt performance as Beane, and the theme of the movie, to challenge old fashion values when you believe they are no longer valid or right, really hits home with the conditions plaguing our country currently. This film was also a welcome return of director Bennett Miller who hasn’t made a feature since 2005 with the exquisitely well-done Capote. So far in my tally, I can’t call this the best film of the year, but it is a very well made and engaging movie. Though I am happy for Jonah Hill’s nomination, I don’t know that his performance was that endearing or that far separated from a normal Jonah Hill performance; however, Pitt’s performance could be some strong contention in the Best Actor category. Even non sports fans like myself will find something to love about this film. Honestly, it’s the best sports movie I’ve seen in a long time and, though not a fan of the genre per se, I have seen my fair share and completely understand the allure and magic of the game(s). It will be interesting to see if Pitt hits Oscar glory this year; though a huge star in many respects, this comes as only his third Oscar nomination. His previous being for the leading role in The Curious Case of Benjamin Button in 2008 and first for supporting actor in 1995’s 12 Monkeys, a personal favorite of mine. I’m not really a very fervent fan of the vampire genre. I feel these days that it is overused in everything from movies to novels to tv shows; it’s hard to trace when this vampire mania originally started, but it has definitely gotten out of control and is appearing everywhere ad nauseum. Heck, I’m not even a fan and have seen two vampire themed movies in the past week! That aside, however, this one did something unique with the subject matter and for that, I really enjoyed the film. Oskar (Kare Hedebrant) is a 12-year-old boy who lives with his mother in a dreary apartment complex in Sweden. In school he is bullied by a small “gang” of children lead by a little snot named Conny (Patrik Rydmark). In his spare time, he has dreams of the revenge he hopes to one day get on his oppressors. In the meantime, however, he weakly takes their daily taunts and physical abuse. A strange man and his supposed daughter move in to the apartment next to Oskar, and around this time various murders begin happening around the city. Because one of the murders was a child, Oskar’s mother restricts his playtime to the courtyard in front of their apartment building, and it is here one night he meets the girl next door, a pale, strange acting child named Eli (Lina Leandersson). The two soon become fast friends and, though Oskar knows something is different about Eli, he still accepts her just as she accepts him for his shortcomings. Directed by Tomas Alfredson on a very low budget in today’s terms for a feature film ($4,000,000), the movie carries quite an eery quality to it throughout. The cinematography and direction, mixed with the stark cold atmosphere naturally provided by the filming location, gives a very disjointed feel to the film. Being a horror film, this almost unnerving mood fits the story perfectly. Also, though it never says, I think the film is supposed to take place in the 1980s; either that, or Sweden is way behind technologically from the United States, as all the cars, clothing and housing had a dated feel to them. The two young actors, Kare Hedebrant and Lina Leandersson do a tremendous job in their roles. Leandersson, especially, will likely have a long and varied career ahead of her. Her subtleties in facial expression and body language to put across that she was really a 200-year-old vampire trapped in a 12-year-old girl’s body, was handled better than many adult actors could have achieved. I also really enjoyed the maturity of the relationship between the characters of Oskar and Eli. Even though they carried a certain amount of the innocence and naiveté of childhood, their relationship with each other was very much like that of a burgeoning relationship between two adults in the way they spoke to each other and interacted. In short, this film was a unique and interesting take on the now over played theme of vampirism. The acting, direction and story came together beautifully to present a film that holds up as a good coming of age drama, as much as it is a horror film. If the cliches of the horror genre usually annoy you or become tiresome, then this is a smart, clever alternative that makes for a much better viewing experience. Usually when someone is a super-centenarian (110+), that is their biggest claim to fame. However, for Frederica Sagor Maas, she was also a trail blazing female screenwriter in early Hollywood. Born on July 6, 1900, Frederica Sagor obtained a degree in journalism from Columbia University before taking a position as a story editor for Universal Pictures, and then as a screenwriter for Preferred Pictures in 1924. Two of her most prominent titles were the Clara Bow and Garbo vehicles The Plastic Age and Flesh and the Devil. Following solid work in the industry for several years, like many in the silent era, her workload declined in the 1930s. Her last credit was for The Shocking Miss Pilgrim was in 1947. She married fellow screenwriter, Ernest Maas, in 1927; the couple would remain married until his death in 1986 at the age of 94. 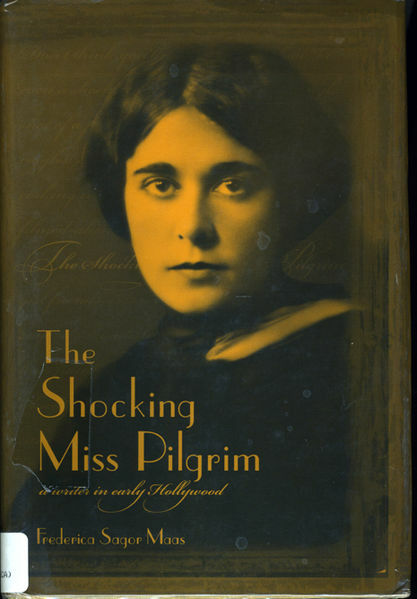 After many rejections of both her and her husband’s screenplays, coupled with the stock market crash of 1929, Maas and her husband became disillusioned and impoverished. Eventually, however, she started a second career as a stenographer for an insurance agency, in time moving to the role of adjuster due to “adjusting” her age by 10 years on her resume. It is with some personal sadness to hear of Frederica’s passing last week at the age of 111. In 2008, I contacted her about the possibility of doing an extensive on camera interview about her life and times in Hollywood. I was contacted back by her niece, Phoebe, who told me that, though Frederica’s mind was sharp many days, that would be a taxing thing for her and that some days were better than others. Being 108 at the time, that is not a shocker at all and I completely understood. I further found out that famed film historian Kevin Brownlow had beat me to the chase so to speak by doing a series of interviews with Maas in 1999, though I don’t know that any of the footage has been released or used as of this time. I’m sure Mr. Brownlow is waiting for the most opportune medium to present the footage. Though we didn’t end up doing an interview, Frederica’s niece Phoebe was extremely kind and said there were several boxes full of correspondence and other items from Maas’s time in Hollywood that she would be happy to look through if any of the information was helpful for any of my writing efforts. Furthermore, nearly a year later, Phoebe sent me a wonderful article from the San Diego Times regarding Frederica’s solidification as one of the oldest inhabitants of California. I sent a gracious “thank you” note and Christmas card that year. According to Phoebe, Frederica was ready for her time to come; after a certain age, it becomes difficult to go on when all your friends, family and loved ones are gone and it’s hard to do the things you once loved. Though it’s always tough to see someone go, I’m sure Frederica is at peace now with her husband and other friends and family with an eternally youthful mind and body. We are so lucky, as a film historian community, to have had someone with her knowledge so willing to share her experiences and stories of that early time in cinema’s history. I’ll take a moment to comment where I can. The two biggest films of the year, I’ve yet to see; one because of the moving, the other because it still hasn’t been released in my city yet. Those two movies are The Descendants and The Artist. 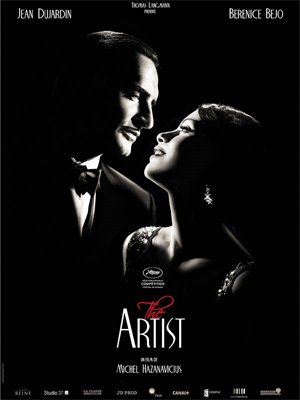 The Artist is actually my most anticipated film of 2011, so I am ecstatic that it will be opening at the local indie theater this coming week. I will likely see it and Tinker, Tailor, Soldier, Spy as a double feature this coming weekend. I can’t wait! Though I haven’t seen the film yet, I was very excited about its (The Artist) wins – it’s shaping up to possibly be the first silent film since 1929 to win a Best Picture Oscar. Being a silent film aficionado, that’s music to my ears. Maybe more silents will be hitting the modern cineplexes because of its success. The next on the list I can comment on was for Best Supporting Actress for Octavia Spencer; I think this was definitely a deserved award for her incredible performance. In my review of the film from a couple weeks ago, I made special note of her and Viola Davis’s wonderful performances. Scorsese winning Best Director, but no Best Picture Comedy/Musical is a bit of a surprise, but I loved Hugo and his direction of the film was expertly handled, so this was a pleasant surprise as well. 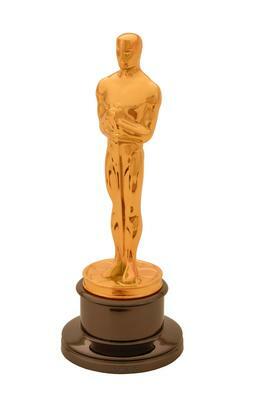 Now, for my most pleasant surprise…Woody Allen winning Best Writing! I haven’t written a ton about Allen on the blog, partly because I’ve seen all his films and most of the films I review here are recent watches. However, Allen is in my top five favorite filmmakers of all-time, and to see him win so much recognition after nearly a decade of lackluster films, is a good feeling. The only other win I can wholeheartedly support is Downton Abbey. I’m currently working through the second series with an iTunes season pass. So far, it’s been as good as series one, and that’s saying a lot. Well, those are my views on what I feel I can comment on. Hopefully, within the coming week or two I’ll have a chance to catch up on my film going and have a little more informed opinion on this year’s best films. Stay tuned!